Ready to share all about your cooking skills? 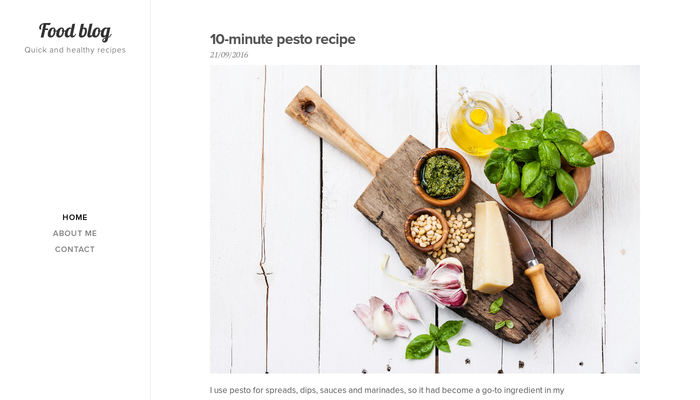 Choose this template prepared for all food bloggers, recipe collectors and all other food enthusiasts. 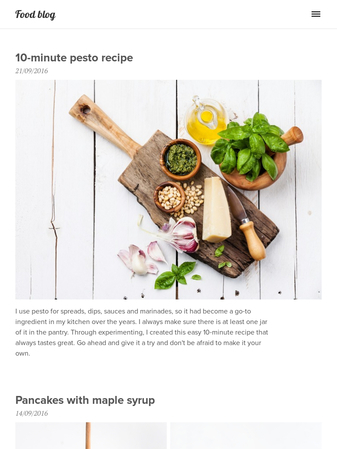 Share your favorite recipes, write about the interesting ingredients you came across and don't forget to tell your readers a bit about yourself and your way to delicious food.